A street from Southwest corner hitting / focusing / touching / viewing the house / property is called the Southwest street focus or a house is getting Southwest focus then that house is called as Southwest street focus house. (Southwest or Nairuthi veedhi /veedi drusti/dristi) This Southwest means it includes South and West, both directions should not be open or should not get free air or free focus to the properties from SW direction. Honestly speaking the house or the property should be covered from South and West parts including the Southwest then it would become standard. Otherwise weakness may be seen in terms of health and wealth etc. Here the House is getting the Street focus thrust from Southwest corner, then this street is called as Southwest street focus or this house is called as Southwest street thrust home. This street focus is including the both effects of Southwest-west Street focus and Southwest-south street focus. This street thrust leads to chronic diseases to the female members or some times to the male members also. Most of the owners lost many business losses and has to face financial disorders in their life time. If this same property does have any water bore well or Water Sump towards Southwest part then it may be more chances for suicide tendencies or suicide or premature demises may be observed at this properties. If this Southwest street focus is found for a commercial property then there is a more chances for collapse of business. This house is having West and South roads and Southwest street Focus is also hitting the property. Such street thrusts have the malevolent effects of both SSW and WSW street thrust. It is similar to a man walking with a huge load on head and having shackles on the legs. You are aware that Southwest is the exactly otherside of the Northeast, i.e., one corner is the Northeast and the other opposite corner is the Southwest corner, by having this knowledge we may easily understands that Northeast brings luck, happiness, peace, opportunities to the residents, then what will be the effects of Southwest, just opposite to the Northeast, it means bad luck etc, Northeast is the cause for the birth, so SW would be . . , if a resident is in the dilemma of buying such properties our strong advise is without experts vastu consultant should not take any decision, or otherwise it may hurt you. Playing games with life is not recommended. 4. Matter is from www.subhavaastu.com website. 7. Loss of thinking faculty etc. 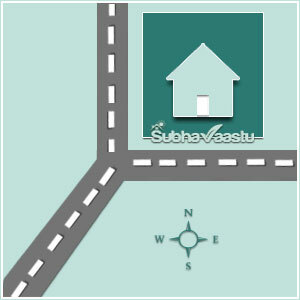 We urge the residents please consultant only the best expert vastu consultant before buying the properties, if you already bought the property then, show that property with one Vastu expert and get his proper vastu evaluation guidance and there after do the corrections if he suggests any. How to arrange the bed in my bedroom? 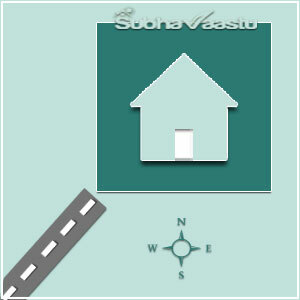 I want to know the best head positions or sleeping positions as per Vastu Shastra? Is my cot or bed is towards South, is it right or I have to move it towards Southwest? My neighbor is always facing troubles in his daughters love affairs, what are the general reasons? I want to know some inauspicious positions of bed or cot in a bedroom, so that I can avoid them? Dear Suresh bhai, u came to us like an angel who has given us the new direction to live. By my heart I say that u are one of the messengers of god who has come to flourish the world with God's golden light. Not only the vastu, even in astrology u r the master. We went to so many places before meeting you spent around thousand of RIALS however the satisfaction we got from ur suggestion we didnt get any where else. I pray to god to send us love and light. Thank u. With Regards - ZainabAbdullah Al kaabi - Muscat - Oman Country. 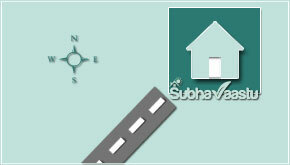 My self engineer working in public sector, We are planning to take South-west facing house in apartment, Please suggest me whether its good direction, My start is Visakha- First foot. if not good then can you please which is the best for me.